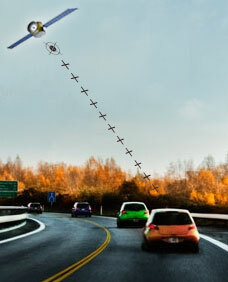 Phoenix Secure is an Indian GPS Tracking Manufacturer. We are Glad to be a part on Make In India Initiative taken by our Honourable Prime minister Sh. Narendra Modi. As an industry leader in GPS based Fleet Management,Phoenix Secure is committed to assisting companies reduce operating costs and manage mobile assets more efficiently. Phoenix Secure began product development in 2005 giving us over a decade of experience in the design, manufacturing, and sales of GPS tracking products. We manufacture a variety of systems to meet each customer�s specific needs. Whether in government or the public sector, the bottom line for mobile fleet management is performance and cost; achieving maximum results under budgetary constraints. Utilizing satellite technology developed by the Department of Defense, Phoenix Secure, has done just that for private businesses and government agencies alike, maximizing fleet performance and efficiency while minimizing costs. Phoenix Secure offers a suite of Global Positioning System devices and software for fleet monitoring under the product line GPS Vehicle Tracker.